Thrissur beaches never used to have visitors other than locals. That has changed, nowadays beaches such as Nattika are well known in travel circles. New beach resorts have come up along the shore; some have exceeded expectations and won hearts even in distant lands. Nattika, Vadanapally and Chavakkad beaches were always in the list of beaches of the mid coast. Snehatheeram, Munakkal – Azhikode, Edakkazhiyoor, Mannalamkunnu and Periyambalam are the new additions. The exact location is Blangad, about 2 kms from Chavakkad town. So the real name is Blangad beach even though out of town it is known otherwise. Blangad is a fishing belt with a fishermen colony close to the beach. Interesting to witness the return of wooden boats from the sea, for the action - of getting boats out of sea, and the auction that ensues. Travel a few kms through the coastal road to Chettuva to get lost in the elegance of chaotic ripples at the meeting point of backwater and sea. Do you want some boating? Take the road to the coastal highway NH 17. The distance is a few kms. Turn right to Chettuva on NH 17. After about 300 metres and just before Chettuva bridge, on the left side, is Rajah Resort and Boating. Boats come with a skipper. They even have one or two house boats. During evenings, Chavakkad beach is a popular hangout. Although the beach alone cannot be rated very high, the estuary experience and the backwater boating add up nicely. The estuary is a remote place, so make sure to reach there before evening. You may need directions from locals to reach there. Ask them for Chettuva Azhimukam. If you happen into this part of the world, a must visit place is the temple town of Guruvayoor. 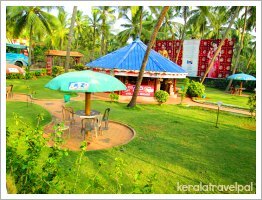 It is located 6 kms from Chavakkad. Swaying palms, azure waters, rough waves.....the long and sandy beach is in a class of its own. Here the backwater joins the sea. Not a good place to swim because of the strong currents. Great to stop by and unwind. Azhikode is a village 10 kms from Kodungalloor, the famed town of Bhagawathi Temple, Cheraman Mosque and St. Thomas Church. Amazingly, both the Mosque and the Church are considered to be India’s first. The origin of the church is attributed to St Thomas where as the mosque was founded by Malik bin Dinar. 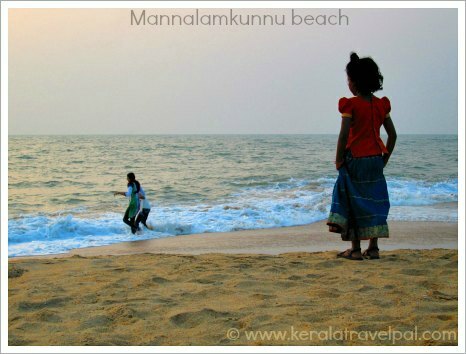 Snehatheeram is a lovely beach that has love even in its name. Snehatheeram in Malayalam means the shore of love. It is a popular family picnic spot with a waterfront park - kids play ground and an aquarium. The coastal highway (NH 17) runs through Thalikkulam shops, 3 kms east of the beach. Thrissur (Trichur) town is about 25 kms away from the beach. With the setting up of a few waterfront resorts, Nattika is in the forefront of beach tourism of Thrissur. 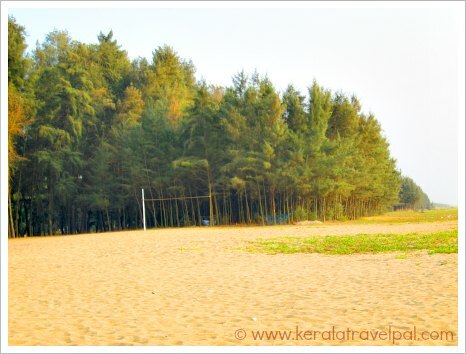 Nattika beach is about 32 kms from Thrissur town. Nattika shops are along the coastal highway (NH 17), about 4 kms east of the beach. 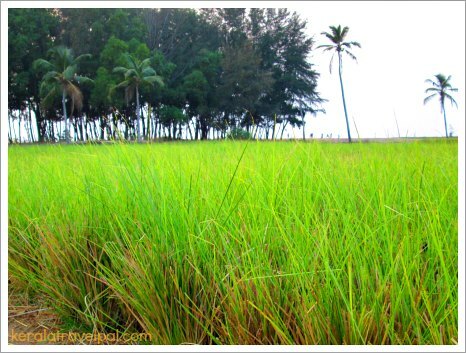 Vadanapally is a thriving coastal town, 20 kms south west of Thrissur. The beach is about 1 km west of the shops. 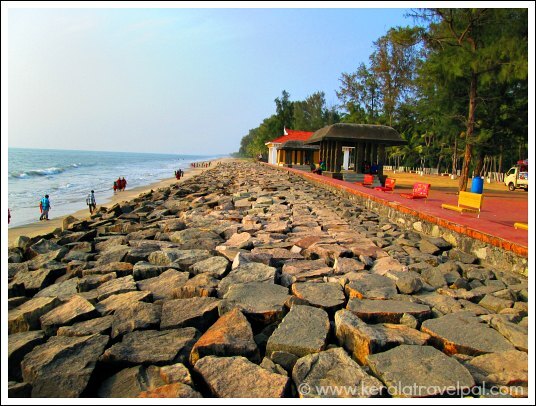 The coast runs straight all the way till Azhikode, the southern point of Thrissur coast. Some of the less known beaches here are Valappad, Kothakulam, Kazhimbram, Arattu Kadavu, Sree Krishna Mugham and Kara. Once we did a study tour (rather a study walk). We were Zoology Bachelors final year students, walked from Vadanapally beach till Nattika beach, collecting shells and would be specimens. The walk was about 7 kms. 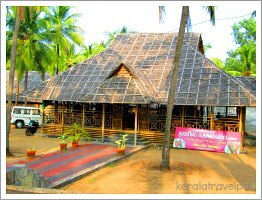 One of the best beach destinations is Periyambalam, near the northern border of the district. Casurina forests near the beach are great for picnics. It is a popular local tourist spot for families, newly weds and beach lovers. Ramacham is an aromatic herb with medicinal qualities. An important ingredient for certain ayurvedic soaps, it also has many other uses. There are ramacham herb plantations all over the place. Nice aroma from the plant fuses into air. So you can smell ramacham in the air, while travelling through village roads. 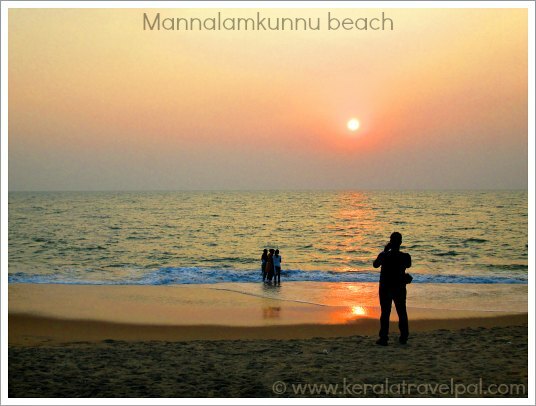 South of Periyambalam, there are beaches at Mannalamkunnu and Edakazhiyoor. Periyambalam is about 40 kms from Thrissur town, on Chavakkad – Ponnani highway. From Chavakkad, you can reach here in less than half an hour, by car.